We have a fabulous colour challenge at Just Add Ink this week courtesy of Mae. Every time I tried to photograph my card it looked wonky – I think my tilted panel was making my view skewed. I’ve gone for a cleaner style of card with more of a white background than I usually go for. Not sure if you’d call this style clean and simple, but that was what I was trying to achieve. The Design Team have created gorgeous cards this week – head over to the blog and check out their creations. While you’re there why don’t you join us with this fun colour challenge at Just Add Ink. 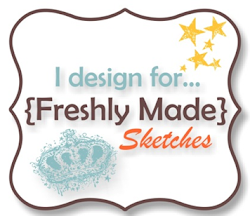 I think you’ve done a fab job at creating a CAS style card – it’s definitely different to your normal style and I really like it!! 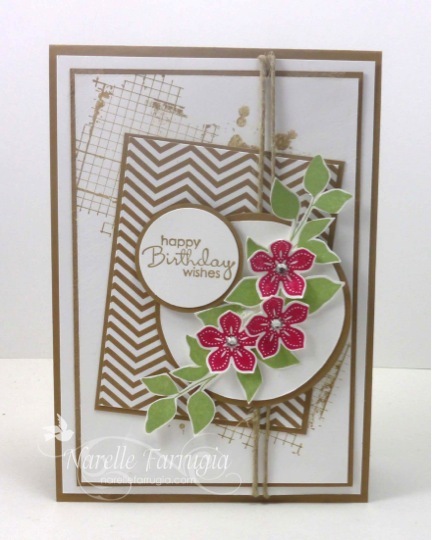 Narelle I love the softness of this card and I think your feeling that it is looks ‘wonky’ is because of your lovely tilted panel with the chevron pattern along with the angled background stamp. Don’t stress it is beautiful. This is beautiful. Love the colors and design. I have the same problem at times with my photos, especially if they have a tilted panel, but yours looks perfect. I’d say you nailed clean and simple! Nice job Narelle! Love your cards. Thank you for sharing.